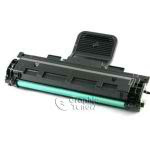 Online Remanufactured Samsung Toner Cartridge Supplier GraphicToners.com Unveils Featured Products - GraphicToners.com, an online provider of premium remanufactured Samsung toner cartridges, spotlights select products this month. As an added treat to customers, the company offers these featured products on discounted prices. The premium remanufactured HP CE505A black laser toner cartridge, compatible with the laser jet printer series P2035, P2035n, P2055dn and P2055x, is now only $24.95. Another premium remanufactured HP toner cartridge is also now available for less—the CE505X which is now only $28.95. Meanwhile, the premium remanufactured Brother TN-360 black laser toner cartridge may now be purchased for the sale price of $21.95. This item is for use for the following printer series: DCP-7040, HL-2140, HL-2170W, MFC-7440N and MFC-7840W. Furthermore, the premium remanufactured Dell 2130CN color laser toner cartridge set is also on sale for only $64.95. This version is compatible with the color printer models 2130CN and 2135CN. Finally, two premium remanufactured Samsung toner cartridge models are also on this month’s featured products. The SCX-4725, which is compatible with both SCX-4725F and SCX-4725FN; and the MLT-D209L which is compatible with ML-2855ND, SCX-4824FN, SCX-4826FN and the SCX-4828FN. Visit the company’s website now for more information on this month’s featured items. In addition to featured products, new GraphicToners.com customers can enjoy instant savings. Simply use the coupon code GT5NEW to take advantage of a 5% discount on the first purchase. The company also ships all purchases worth $50 and more for free with coupon code FREESHIP50. All products are covered by a one year warranty.